Wait! How did you end up here? You are either quite curious or a budding vet student hoping to move to a cool town for a minute and learn some amazing things along the way. 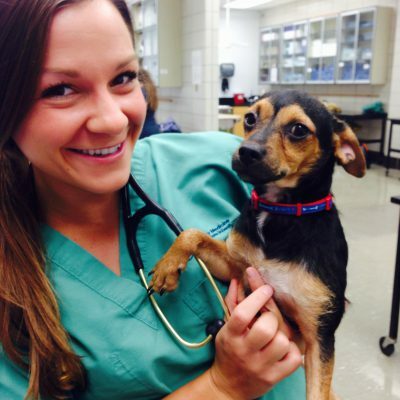 An externship/preceptorship period is one of the most rewarding classes that you can attend at Veterinary College. Not only do you get to practice what you have been learning, but you also continue your education. Aspects of medicine are enhanced but beyond that, Paz Vet works to enrich your perception of the world, the people around you and the pets that you treat. Our extern program will introduce you to basic surgeries, referral surgeries, ultrasound, venipuncture techniques, greeting clients, treating patients, learning how to build a flow, creating an environment conducive to cooperative work and finally, the great city of Austin and its downtown enclaves. Below are some of our past externs and their experiences. Want to know more? My name is Jeremy Fleming and I was born and raised in a town called Franklin, Tennessee – just south of Nashville. I was trained in Auburn, Alabama for both my undergraduate degree and veterinary school (War Damn Eagle). During my fourth year I had the privilege of doing an 8 week preceptorship where I was lucky enough to work with the great Nicholas Vaughan, DVM and PIC at PAZ Veterinary! Afterwards I did a small animal internship in medicine, surgery, and emergency care at the University of Minnesota. For the next few years, I will be at University of California, Davis completing my residency for small animal surgery (what I have always wanted to do)! My time at PAZ Veterinary was spectacular. Between great co-workers, excellent location, and friendly mentorship my experience was exceptional. 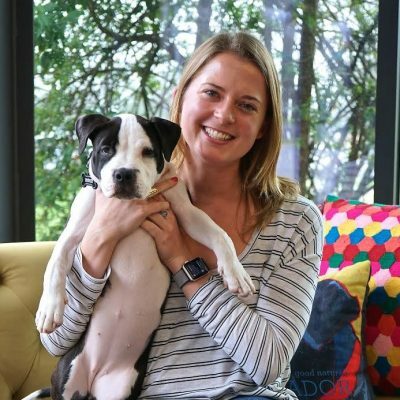 I was able to learn a lot about how a general practice should be run on both the veterinary aspect and business model with focus on solid client/patient relationships. Drs. Carter and Wilson were extremely instrumental in my education here with enthusiastic assistance on troubling cases. The surgeon in me cant help but express the fun and education provided by in-house surgeries with a boarded surgeon Dr. Might on multiple TPLO procedures, fracture repairs, and availability for phone consultations. I was really able to spread my wings here, get my hands dirty, and begin the journey of my professional career. 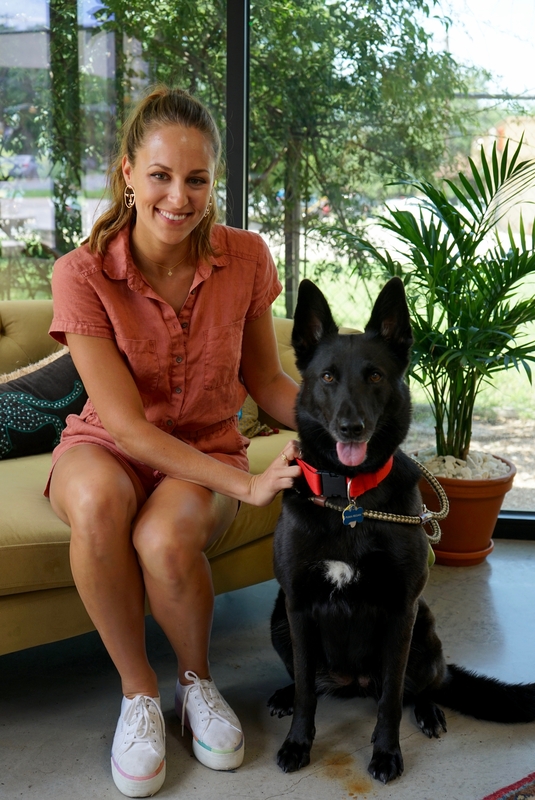 As a native of the cold north (Inver Grove Heights, Minnesota), I was thrilled to have the opportunity to spend 2 weeks thawing out in Austin with Dr. Nick Vaughan and the amazing staff of PAZ Veterinary! Like many Minnesotans, I haven’t been out much: I completed my undergraduate studies in biology at Saint Mary’s University of Minnesota in 2011, and graduated with my DVM from the University of Minnesota in 2015. Needless to say, I jumped at the chance to travel south. 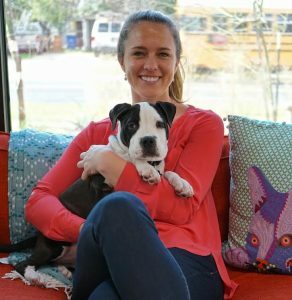 From the inviting atmosphere and captivating clients of Austin to the knowledgeable mentorship and caring environment in the clinic, the time I spent at ACV was extremely valuable as preparation for a career in veterinary medicine. Drs. Vaughan, Wilson, and Carter were all patient and engaging, allowing me to practice my communication and professional skills with my own flare. Although I ultimately returned home to start my career at Inver Grove Heights Animal Hospital, I will never forget the education I received and the friendships I developed while in Austin. Thanks Corner Vet!I hope to make a visit to come see you all soon! I’m Lauren Stump, a bayou state native raised just over a half hour east of the Texas border in DeRidder, Louisiana. 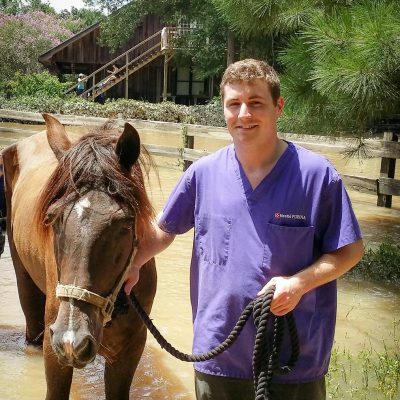 I attended Louisiana State University School of Veterinary Medicine and spent my undergraduate years at LSU as well. After eight years in Baton Rouge, you inevitably bleed purple and gold. Geaux Tigers! 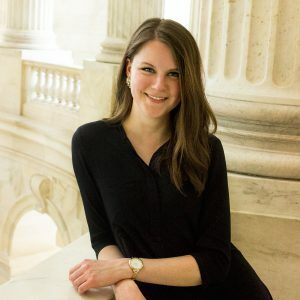 I began work in the U.S. Senate after graduating and now love living in Washington, D.C. working on policy issues. It’s not what I intended to do when I started vet school, but you never know where life will take you! Just a couple of months prior to graduation I had the opportunity to spend two weeks at PAZ Veterinary as an extern. Drs. Vaughan, Wilson, and Carter all had their own unique approach to cases and excellent Doctor-patient- client-staff relationships. As for techs, assistants, and reception, it doesn’t get much better than this team. Everyone encourages a hands-on approach, quizzes and questions you, and makes sure you’re involved in the cases and surgeries. 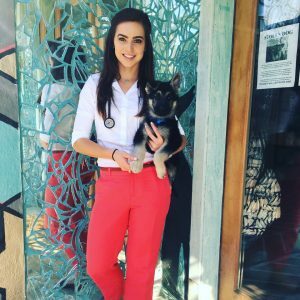 I had a great learning experience that helped solidify the practices and thought processes I learned during clinical rotations, and loved my time at PAZ Veterinary. My two weeks there were just too short! Many, Many moons ago a Stork named Ferdinand dropped me off in the gritty heart of Houston, Texas. Two brown bears wondering through the city heard my cries and decided that, instead of eating me, they would raise me up as one of their own. The bears carried me to Jonesboro, Arkansas where I grew up on a farm with an ensemble of critters including: dogs, cats, horses, pigs, foxes, owls, hawks, pelicans, geese, raccoons, a steer named Steve, an otter named Otis, a bobcat named Weaver, and one human brother named Daniel. The love and sacrifice of these bears taught me to appreciate all forms of life and pursue my dream to study the dynamics of the human-animal bond. I received a bachelor’s degree in Biomedical Engineering from the University of Arkansas before moving down to the Baton Rouge bayou to seek a Doctorate of Veterinary Medicine at Louisiana State University. Along my winding journey, I was able to spend two adventurous weeks with the family at PAZ Veterinary. These folks love what they do and are always looking to get you involved with their cases. I definitely recommend you come hang out at the Corner with Dr. Vaughan and his crew of superstars if you get the chance. Hi there! My name is Sylvalyn Simpson, and I’m a fourth year student at Texas A&M University’s College of Veterinary Medicine. I was raised along with my four brothers on my parent’s ranch in the dry heat of southern Arizona. With everything from horses, cows, pigs, sheep, and goats, to rabbits, chickens, and turkeys along with our dogs and cats, it’s no wonder I found myself more drawn to animals than humans. Eventually, it was time for this desert rat to scurry off to college at The University of Arizona (Bear Down!). After an amazing four years in Tucson, I found myself “drinking the Aggie Coolaid” in College Station, where I spent the last three years preparing for this final year of clinical rotations. My journey has been long but every minute has solidified my deepest desires to become a healer of animals. I enjoy every aspect of veterinary medicine, especially the sense of accomplishment that accompanies relieving the pain and suffering of the animal along with the stress and anxiety of it’s human counterpart. 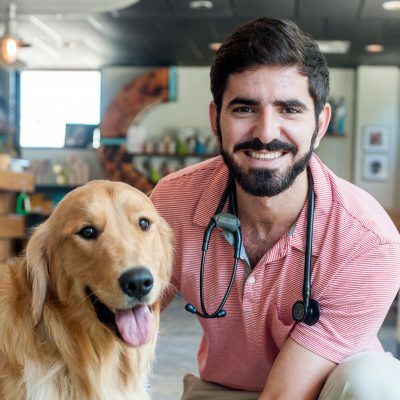 After graduation, I’d love to find a job in a clinic as welcoming and caring as Paz Veterinary. In just two short weeks at Paz, I felt connected to the practice, not only through the doctors, but also the technicians, receptionists, and the clients. Everybody made me feel at home and encouraged me to participate. The doctors were knowledgeable and skilled in medicine, and excellent examples of effective, open, and honest client communication. You won’t find any smoke and mirrors at Paz! Thank you to everybody involved in the Paz Animal Collective for making this experience so unique and inspiring. I will apply the lessons I learned here for the rest of my career! Native to Lafayette, Louisiana, “The Heart of Cajun Country”, I grew up in a big crazy house as the only girl amongst 4 brothers, a blind grandmamma, and a whole lotta dogs all under one roof. When the time came to spread my wings in 2010, I headed down the road to Baton Rouge for undergrad at Louisiana State University. After 3 fun years and an Animal Science degree, LSU School of Veterinary Medicine accepted me into the class of 2017. 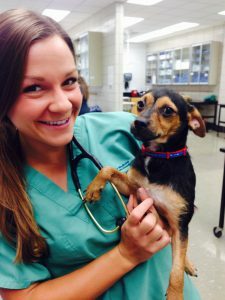 While in veterinary school I stayed busy…I was involved in extracurricular fun, published some research, and also attended the Chi Institute of Traditional Chinese Veterinary Medicine for certification in veterinary acupuncture. 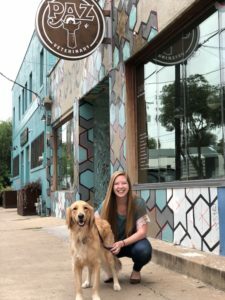 When it finally came time for clinical rotations, I was eager to get started and was fortunate to extern in busy Chicago and beautiful Asheville…but my favorite adventure was the two awesome weeks I spent at PAZ Veterinary. PAZ Veterinary is the most unique veterinary clinic I have ever encountered. The moment you walk in the door you are greeted by an adorable receptionist, the smell of fresh espresso, and a comfortable interior décor that perfectly captures the funky-fresh vibe of Austin. The fun and positive energy from Dr. Vaughan and his staff and how they immediately welcome you into their Corner Vet family, completes the atmosphere. All the doctors here are excited to teach, and you will learn something different from each one of them. Get ready to be involved, start critical thinking, and asking questions! Without a doubt, I improved my technical skills and had plenty of hands-on practice but what I most appreciated about this clinic was the quality of the doctor-client interactions and the efforts they go to in order to make the client comfortable. It is a totally transparent practice. One of my favorite things are the glass exam doors where the clients can watch their pet when it is “in the back”. Corner Vet is the perfect fusion of fun and professionalism. They can accommodate a great variety of client needs and expectations…whether you want gold standard recommendation or need to work out an affordable practical solution. They have great client satisfaction and very happy employees. I absolutely recommend this externship to any veterinary student interested in small animal practice! P.S. make sure to try one of Dr. Jamie’s candy creations! Hola! My name is Manuel Alejandro, but I go by Manny to all my friends. I was born and raised in Matanzas, Cuba. My family and I were welcomed into this great country when I was 15 years old. While pursuing my lifelong dream of becoming a veterinarian I attended UCF (Go Knights!) in Orlando, FL for a Bachelors in Biology and was subsequently accepted to my dream school at the College of Veterinary Medicine at the University of Florida, where I’m currently a Senior. 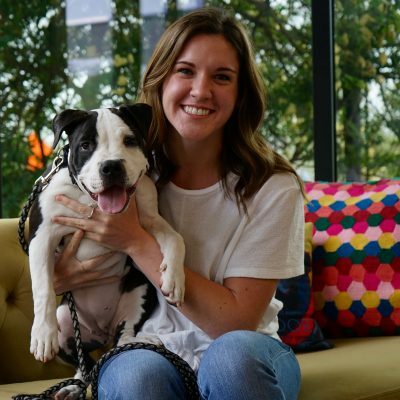 I was fortunate enough to have been accepted for a month long externship at the Corner Vet in Austin, TX. What an experience it was! This amazing hospital is in a league of its own and the perfect example of what happens when great people unite under the common purpose of helping animals and their families. Dr. Vaughan and his crew not only practice top of the line medicine but they do it in such a way that allows for even the most stressed out cat and their owner to feel at home. I highly recommend this hospital to any veterinary student looking to see a modern side to veterinary medicine; especially those interested in providing excellent client education and getting hands-on experience. Thanks again to everybody at CornerVet. Buena Suerte Amigos! I am Alex Canfield, born and raised in Fayetteville, Arkansas (Woo Pig Sooie!). I relocated down to Tiger Land in order to attend LSU, one of the most well-known vet schools in the nation (Sorry, but after 3 years I still can’t bring myself to say Go Tigers—Go Hogs!). My time in Louisiana has been extremely educational and humid. Despite the humidity, I can never see myself leaving the south; especially not after my time spent at PAZ Veterinary. The doctors, technicians and reception staff welcomed me with open arms and showed me the southern hospitality that makes me adore the south. Not only are these people welcoming, but they are highly skilled and knowledgeable about interpersonal communication and veterinary medicine. I not only improved my medical skills but also was able to see first hand how to effectively communicate and educate clients about their pets. The only disappointment I had was that I never got to see Dr. Croudep wear a bow tie. It will be exciting to see where I land when I graduation in May 2017. I would love to return to Austin or the surrounding area. I plan to work with small animals and hopefully large animals as well. The thing I love most about veterinary medicine is that the possibilities for careers are endless. I have spent 8 years working towards becoming a part of this profession because of my love for animals and humans so I know that I will be happy with whatever veterinary medicine has in store for me! 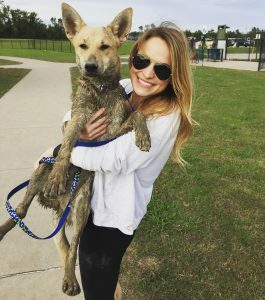 My name is Stephanie Driscoll and I’m currently a fourth year veterinary student at Texas A&M University. My bachelors degree is from Texas A&M in Wildlife & Fisheries Sciences. I’ve always had a love for wildlife and international studies and was very lucky to have the opportunity to travel to South Africa twice throughout my studies to work with wildlife veterinarians. When I graduate in May 2017, I would love to be practicing small animal general medicine in beautiful Austin, Texas. When I’m not at school or studying, I love running, traveling, taking pictures of bugs, and hanging out with my dog, Penelope. I found myself right at home at Corner Vet and it was easy to see the clients and animals felt the same way. It is such a welcoming, unique atmosphere. The doctors and staff taught me a tremendous about medicine, but more important to me and something you can not just look up in a book, how to demonstrate a beautiful client-patient-veterinarian relationship. One of my favorite aspects of the clinic is the glass exam doors to eliminate the “unknown back.” My time with Corner Vet was way too short and the wonderful people I met will have a lasting impact on my future. I was lucky enough to have the privilege of spending my last 2 months prior to graduation at PAZ Veterinary! Originally from Pennsylvania, as soon as I graduated high school, I moved myself to the south (I am NOT a fan of the cold!) 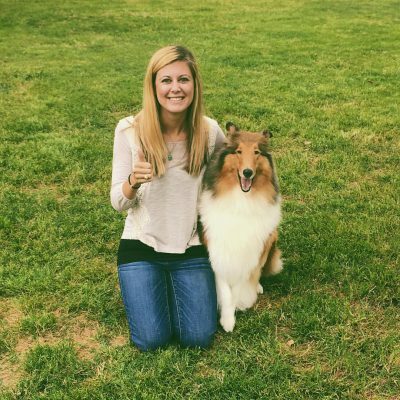 I did my undergraduate studies at Berry College in Georgia and loved the south so much, I jumped at the opportunity to go to veterinary school at Auburn University in Alabama! I will be furthering my studies post-graduation by doing a small animal rotating internship at VCA Aurora in Illinois. The 8 weeks I spent at PAZ was easily my favorite part of vet school. The atmosphere within the hospital created a fun, open learning environment where I was able to thrive! The technicians took me under their wings and made sure I got as much hands on practice with technical skills as I wanted, performing skills such as blood draws, cystocentesis and radiograph positioning. The doctors were also exceptional, including me in all the fun cases they saw, quizzing me on a variety of topics, and making sure I truly understood the reasoning behind why they were doing what they were or were not doing. It was also great to get viewpoints from 8 different, very competent doctors! Dr. Lassin opened the door on holistic medicine for me, which I found fascinating! Acupuncture and herbals were not something I learned about in school so that aspect of this practice alone sets it apart. This practice embraces everything I think veterinary medicine should, creating a safe, friendly setting for even the most nervous pets! I HIGHLY recommend anyone who is looking to spend time in a practice with a great atmosphere, multiple highly trained doctors who strive and succeed to practice exceptional medicine, and a highcaseload to consider PAZ Veterinary! You won’t be disappointed and this will be an outstanding addition to your education! Hi! I’m Catherine. I was born and raised in Lake Charles, and have been in Baton Rouge for 7 years. My entire family has been LSU undergraduate and graduate students, so it’s only fitting that I also finish my education as a Tiger! I’m not sure where I’ll be after graduation, but I sure am enjoying my externships in cool places. Other than PAZ, my stays in New Orleans, Memphis, and North Carolina, have helped to settle my wanderlust. I’m an avid travel buff and look for any opportunity to see more of our country and the world. 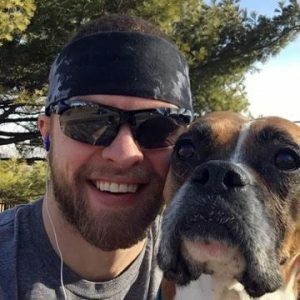 I have a 5 week vacation block and plan to head to Europe for more backpacking fun! Immediately after receiving my white coat, I luckily landed in Austin. With PAZ being my first externship, I had no idea what to expect! For two weeks, I had the opportunity to work at this great clinic. I was excited to learn firsthand so many things from the awesome staff. My overall experience was amazing, the amount I learned in the short time I was there will surely benefit me for the remainder of my schooling. I especially enjoyed watching Dr. Lassin’s work his integrative medicine magic! PAZ truly made this first experience so memorable and helpful. They were willing to take on a“newbie” and mentor me in every aspect of veterinary medicine. I thank them for the opportunity and encourage anyone to try to do the same! I was born in Honolulu, Hawaii, paradise for any naval military family. After Hawaii, we moved to Pensacola, Florida, which I consider my home. Being a navy brat consists of a change of scenery often, but there was always one constant which was my family’s love for animals. We owned everything from dogs to chameleons. I also grew up with a love for sports. At the age of 10, I decided to commit most of my time to the game of tennis. I accepted a full athletic scholarship to Auburn University in 2010 to play tennis knowing that the ultimate goal was to get into their vet school. In 2014, that goal became a reality, and I was accepted into the Auburn University College of Veterinary Medicine Class of 2018. During my clinical year, I was able to be an extern at multiple clinics around the country. Little did I know, the best was saved for last! My final clinical rotation was at PAZ Veterinary. 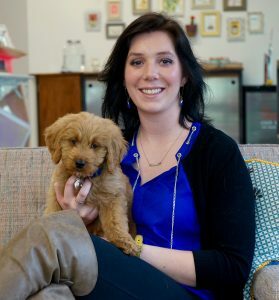 PAZ offers an extremely unique and wonderful experience for an up and coming veterinarian. As soon as I entered the building, I was immediately drawn to the colorful interior and friendly faces. I felt like part of the PAZ family as the receptionist said, “You must be Jackie.” There was a positive energy that everyone seemed to share, and it was infectious. Every client had a smile on their face and a cool refreshment or coffee in hand provided by the staff! It was definitely a fun experience for not only myself but for clients and pets as well. After being introduced to all veterinarians, nurses, and receptionists, my learning experience started! I was quickly updated on current complicated cases and was able to assist in the treatment of all patients. My ability to come up with differential diagnoses, diagnostics, and treatment plans were greatly improved with just my two weeks at PAZ veterinary. Dr. Jamie (Internal medicine guru) even took the time to look up previous complicated cases to review with me. 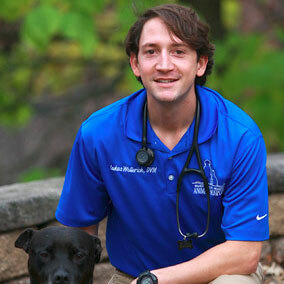 PAZ has an awesome variety of veterinarians at their practice who are all willing to mentor. 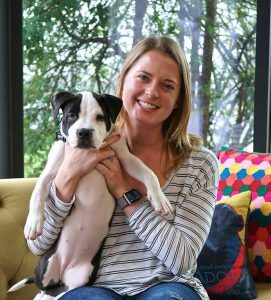 From general surgery to acupuncture, I had the opportunity to experience a different aspect of veterinary medicine every day. One of my favorite things about PAZ was the doctor-client relationship. I learned a great deal about client communication which I will take with me forever. I highly recommend PAZ as an externship location for a focused, small animal veterinary student! 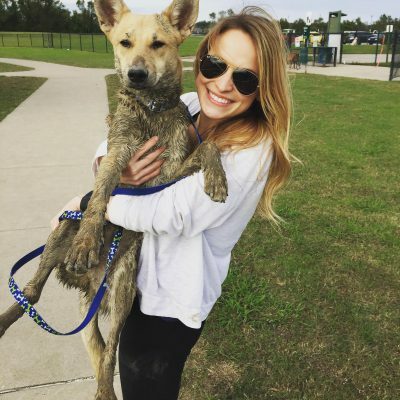 I’m Anna, a third year veterinary student and southern girl, born and raised in the heart of New Orleans, Louisiana. My passion for traveling has always taken me through some of the best times of my life. I spent 4 fun and adventurous years as a Biological Sciences major at the University of Georgia, where I was fortunate enough to study abroad in Costa Rica, Europe and Antarctica. Despite becoming an avid Georgia bulldawg fan, I was accepted into the Louisiana State University School of Veterinary Medicine’s class of 2019. While in veterinary school, I discovered my interest in pursuing Integrative Medicine, which took me to Reddick, Florida to attend the Chi Institute of Traditional Chinese Medicine to receive my certification in veterinary acupuncture. When we received our clinical rotation schedules, I knew I definitely wanted to indulge my wander lust and find some new adventures while learning during my externships. From the rave reviews of past PAZ externs and a friend of mine/current client of PAZ, I found myself in Austin, TX as an extern for PAZ Veterinary. I truly don’t think I could have asked for a better two weeks than this clinic gave to me. From the second I met Dr. Julien and Cristen on the first day in the treatment area to my very last day when Dr. Webb taught me emergency medicine and Lesyle hugged me goodbye, I have never felt more calm and welcomed. 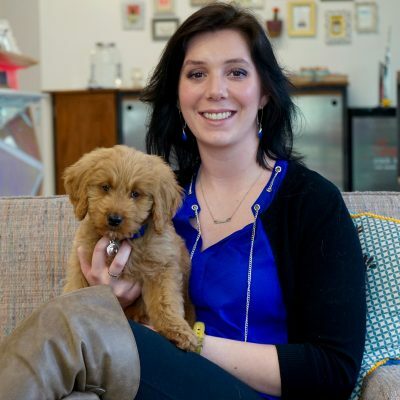 PAZ is not just your typical veterinary clinic. Every pet that I saw walk through the door seemed as though they were happy to be there. Almost as if they were there for an annual reunion, to meet up with their friends, and catch up over coffee on their living room couch. PAZ not only taught me how to put medicine to use, but also how to practice in a stress free and happy environment. PAZ’s unique methodology to healing is something that I admire and want to emulate as I continue my year left of clinics. This practice, these people, and this city captured my heart and I cannot wait to see where my career will take me! Hiiya! My name is Laurel Upton and I am from Mandeville, Louisiana. Growing up close to the big city of New Orleans, I have always been drawn to the similar culture and lifestyle that Austin folks live and decided to take a leap of faith and move to ATX for the summer. 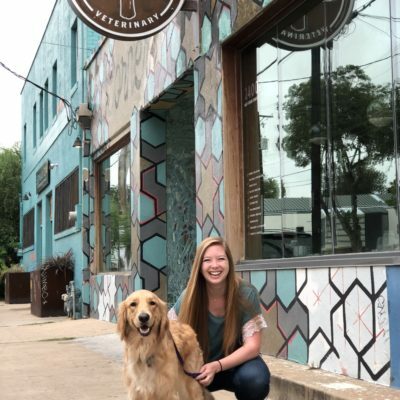 I was thrilled to have the opportunity to work at PAZ during my summer in the city before starting my third year at LSU School of Veterinary Medicine. This experience could not have been better in such a pivotal time of my vet schooling career. The techs were so patient with me as I learned vital skills and adapted to the tactics and methods of the clinic. Dr. Julien, Lassin, Riddick, and Croudep were not only amazing teachers, but role models as well. They allowed me to watch and assist in their daily doings, and took every teaching opportunity to explain their approach to clinical cases. The environment of PAZ Veterinary is one of joy, peace, and excellence. Everyone on staff is excited about providing the best veterinary medicine for the patients, and this enthusiasm radiates throughout the building. 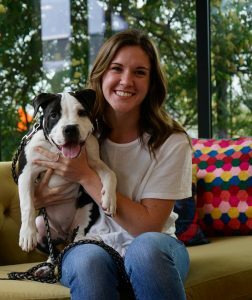 This clinic is in the heart of a city where pets are the heart and focus of their owners, and PAZ practices medicine with passion that was refreshing to be a part of. I absolutely cannot wait to return for an externship in 2020! Howdy! My name is Krista Boyles and I’m currently a fourth year veterinary student at the University of California, Davis School of Veterinary Medicine. I received my Bachelor’s degree in Animal Science at Texas A&M University in 2015, whoop! I’m half Texan/half Californian and I fell in love with Austin’s mixture of the two vibes during my two week externship at PAZ. I could think of nothing better than returning to ATX after I graduate in May 2019 to help the many furry friends in this beautiful city. When I’m not knee-deep in furball love I enjoy yoga, calligraphy, traveling, and most importantly, eating good food. Small animal general practice has always been where my heart lies and the time that I spent at PAZ fully reinforced my dream to be your friendly neighborhood vet! The veterinarians, technicians, and staff at PAZ welcomed me with open arms and I feel so lucky to have spent two weeks learning from them. The many different philosophies among the doctors provides everything a client could look for in caring for their pets. Each doctor was willing to take the time to work through cases with me from internal medicine to surgery to client communication. Not only did I become a better student and future doctor throughout my two weeks, but I made incredible connections with the PAZ family. I’m sad to say bye to such an incredible practice, but I’m so happy that other veterinary students can experience the wonderful mentorship that I did!